Schools are the basic foundations for knowledge and learning. It is the place of mental development where a child can fully grasp the countless information of the world. While many do learn valuable lessons there, growing up will teach you that not everything can be learned within a classroom’s four walls. This especially applies to history lessons that can sometimes be complex and many-sided. In the 1989 proclamation of independence, it was written that the three stars represent Luzon, Panay and Mindanao—not the Visayas. Having been part of the proclamation in Kawit, Cavite, Panay is one of the ‘archipelago’s three principal islands’ where the revolution started. The stars were never meant to symbolize the principal grouping of islands in the country. Unlike what they told you in school, the white equilateral triangle in the Philippine flag does not symbolize purity—it symbolizes liberty, equality, and fraternity. It was also said to symbolize the Katipunan itself and is a reference to ‘the eye of providence’, a symbol that inspired the group’s ideology. Before ‘LupangHinirang’, Andres Bonifacio commissioned what was considered the very first national anthem. ‘Marangalnadalit ng Katagalugan’ or otherwise known as ‘Mabuhay, Amang Bayan!’ was composed by Julio Nakpil in 1896. On 1897, however, General Emilio Aguinaldo assumed office as the country’s president and replaced it with the present national anthem, Lupang Hinirang, which was composed by Julian Felipe a year after. We were taught that the eight rays of the sun in the Philippine flag symbolize the first eight Tagalog provinces that revolted against Spanish colonial rule: Manila, Cavite, Bulacan, Pampanga, Nueva Ecija, Tarlac, and Batangas. Although Tarlac did contribute to the revolt, there was no mention of it in the original official document—instead, it was Bataan. Some historians claim that Aguinaldo purposely omitted it off the list due to his bad blood with Tarlac hero Antonio Luna. On the other hand, Dr. Lino Dizon, Tarlac State University’s director Tarlaqueños studies, Tarlac’s absence is nothing more than a typographical error. 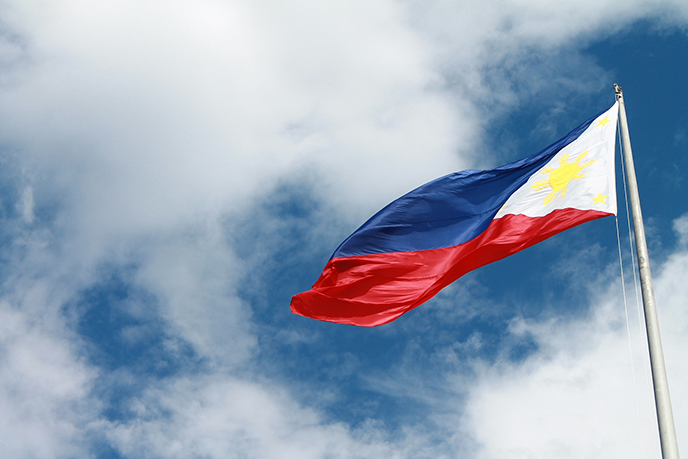 Hoisting the Philippine flag is an annual tradition during Independence Day but the historical flag that took 5 long days to skillfully work on is now nowhere to be found. In Aguinaldo’s letter to Captain Baja, he mentioned that he lost the flag in Tayug, Pangasinan as he was retreating to Northern Luzon during the Filipino-American war. Its whereabouts is a mystery to this day.